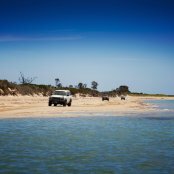 Discover 2000 kilometres of spectacular coastline. 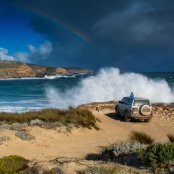 Famous blue waters, secluded beaches and coastal cliffs spanning the Great Australian Bight are just the beginning of Eyre Peninsula's stunning scenery. 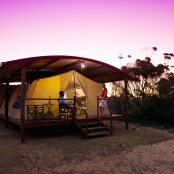 Staying at a national park offer fantastic camping, fishing, bushwalking and 4WD adventures. With some of the whitest beaches on the Eyre Peninsula Coffin Bay National Park is a water lover’s paradise. 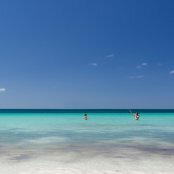 Enjoy fishing, boating, sailing, scuba diving and windsurfing or just relax on the beach. For the more adventurous explore one of the 4WD tracks. 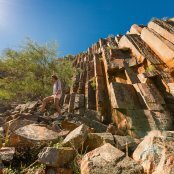 The Gawler Ranges National Park offers ranges, gullies, seasonal waterfalls and rocky gorges to explore. 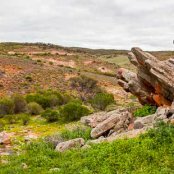 Try and spot the crimson mallee or the yellow-footed rock-wallaby on your next visit. Lush and green in autumn and winter and blooming in spring, beware that summer can be very hot but worth it. Expansive wetlands with natural saline lakes and fresh water springs is what you will find at Lake Newland Conservation Park. A habitat for a number of species of wading birds and waterfowls, there’s plenty to explore. 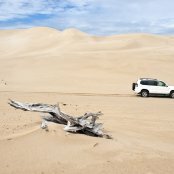 The park is only accessible by 4WD vehicles and there are very limited facilities. Bring enough water, food and supplied for your entire trip. 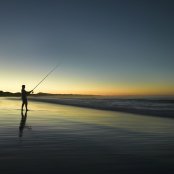 Swimming, fishing, birdwatching, photography and trekking are just some of the things you can do at Lincoln National Park. With Scenic Coastline and secluded white sandy beaches, such as Memory Cove, it’s the perfect place to get away from it all. 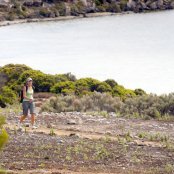 Suitable for caravans and camping, all facilities are accessible via 2WD. A UNESCO World Biosphere Reserve, Mamungari Conservation Park is a remote park where you can explore red sand dunes and dessert flora and fauna. 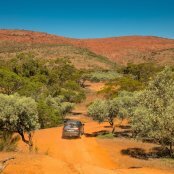 A remote destination, it requires several permits to travel through this area and visitors are advices to be well equipped and be experiences in 4WD outback travel. Where the arid land meets the sea is a beautiful spot in the Nullarbor National Park. You may even spot a whale and their calf if you are visiting between May and September. While the area is mostly sparsely vegetated red sand dunes, look out for Mt Finlk, a predominant rocky outcrop that offers spectacular views of the park, particularly at sunset. There are campsites where campfires are permitted within this park. 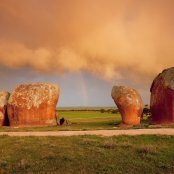 Named after the Yumbarra rock hole, Yamburra Conservation Park is made up of rolling sand dunes and various rock holes, that when filled with rain, become a water source for all the surrounding wildlife, making it an ideal place to visit for bird watching. There are campsites available where campfires are permitted.